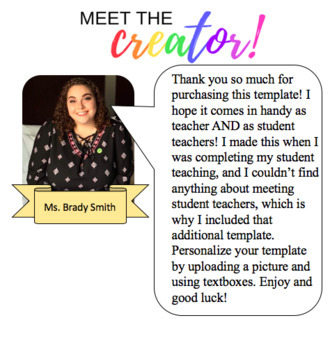 Personalize this template by uploading a picture and using text boxes. 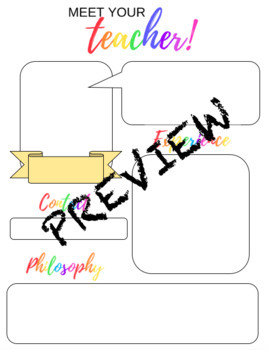 It has a place for experience, contact, philosophy, as well as a quick hello speech bubble! 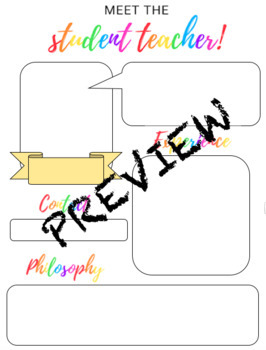 There is a template for student teachers as well as full-time teachers.